The Federal Motor Carrier Safety Administration (FMCSA), under the US Department of Transportation, maintains trucking company safety records, for trucking lines including J.B. Hunt. Over the course of 24 months beginning in early 2014, J.B. Hunt Transport was involved in nearly 800 crashes, resulting in 253 injuries and 23 fatalities. Rosenfeld Injury Lawyers LLC is committed to protecting the legal rights of people injured in accidents with JB Hunt vehicles. We encourage you to talk with our truck accident attorneys before speaking with any JB Hunt representative about the circumstances surrounding the crash. Contact our office now for a free case review by an experienced lawyer. J.B. Hunt currently operates nearly 12,000 transport 18-wheelers across the U.S. and Canada, with over 13,000 drivers. The extended miles traveled by the company every year across North American highways place a heavy burden on the truck company management and supervisory staff, along with the thousands of truckers they employ. The J.B. Hunt Transport, Inc. trucking company is a leading logistics company offering transportation services across North America, including Canada and Mexico. This Arkansas-based Fortune 500 company was first incorporated in 1961 before going public in 1983. The company specializes in long-term contract freight movement deliveries. Its primary business focuses on loading and delivery opportunities using a variety of trucks including refrigerated trailers, flatbeds, and dry vans. J.B. Hunt Transport is part of a vast cargo transport network traveling the highways in large commercial trucks every day. Unfortunately, a large number of 18-wheelers, semi-trucks, flatbeds, and commercial box vans using the freeways and side roads of America pose significant risks to the safety and health of other motorists on the road, especially passenger vehicles. Drunk Driving – Intoxication or driving under the influence of drugs is a serious issue, especially when it involves a fully loaded semi-truck weighing 80,000 pounds. Drug use or intoxication often cause truck drivers to make serious mistakes on the highway including aggressive driving, excessive speed, falling asleep, drifting in and out of lanes, or failing to use turn signals and headlights. Commercial Truck Driver Fatigue – Even though every truck driver must comply with federal regulations to maintain proper “hours of service,” trucking companies often place unrealistic commitments and deadlines for delivering cargo on time. As a result, truckers will ignore being fatigued or tired, which can put other motorists and passengers in great peril of serious injuries or fatalities. Truckers often make dangerous driving decisions when fatigued. Improper Turning or Passing – Truckers are often constrained both practically and legally when passing other vehicles. When they fail to obey safe driving habits, they run the risk of causing a truck accident with severe injuries. Some truckers improperly pass in an intersection, forget to use turn signals, neglect checking blind spots, or maneuver around other vehicles in a no-passing zone. Excessive Speed – Speeding or reckless driving can cause the trucker to lose control of their large commercial vehicle. The excessive speed can minimize visibility, cause hydroplaning/skidding, or decrease the ability to react to any sudden change. Unfortunately for a lot of motorists on the road, little can be done to prevent negligent or reckless actions of a careless trucker or trucking company. Individuals suffering injuries or families that have lost loved ones due to a serious J.B. Hunt truck accident usually face expensive medical bills, lost wages, considerable vehicle damage, funeral and burial costs along with mental anguish, pain, and suffering. The facts of this case started outside Illinois. Also, all defendants resided outside of the state. 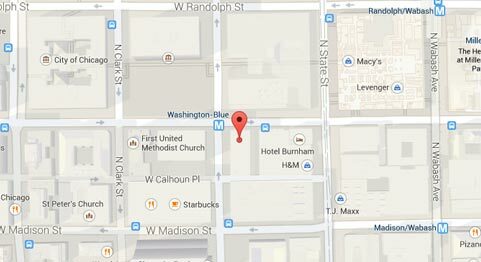 It got into Illinois because the victim was from here and the crash happened here. They collided by Edwardsville. 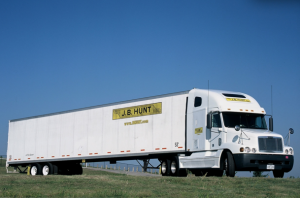 J.B. Hunt hired a truck driver to tow a trailer from Kansas to Pennsylvania. Along the way, on Interstate 270, the victim and driver smashed into each other. What happened? The truck driver stopped without warning. The plaintiff couldn't adjust fast enough. He slammed into the back end of the truck. The rear-end crash left him badly hurt. He broke bones across his body including in the hands and ribs. He injured his spine. He even lacerated his spleen. The ordeal required many surgeries. Despite this toll, he could go back to work. Yet, he still brought a suit. He sought compensation for the costs, pain, and long-term effects. He sued the company and the driver. The latter was an independent contractor for the former. He was able to sue Hunt because he alleged it was negligent in hiring and oversight. The plaintiff's real target for the driver was his insurance company. That defendant offered to settle for the max limit which was $1,000,000. Hunt offered $60,000. The combined settlement of $1,060,000 reflected the large nature of his harms and bills. It eclipsed the median for such crashes and suits. Yet, it also factored in the fact that he could return to work. He was not left so handicapped where he needed constant care. If that was the case, his award may have even been higher. This settlement amount jumps off the page. It's a lot of money. Yet, let's look beyond this headline. There are some subtleties worth pointing out. The truck crash happened on a highway in Indiana. The conditions were bad. Snow and ice littered the roadway. Possibly due to this, the trucker lost control of his vehicle. He was a contractor for J.B. Hunt. His truck obstructed the road for several hours. Despite this time, the driver didn't put out cones or use his flashers. He was required to under the law. The plaintiff eventually reached the crash site. She was asleep on the passenger side as her fiancé drove. He couldn't see the truck because of the conditions and lack of cones or lights. He slammed right into it. The woman was critically injured. She had brain and eye damage. Lots of her memory was wiped out. Also, she was reduced to a wheelchair. These facts were more disheartening because she was so young. She was about to get married. She had also just commenced a promising career as a registered nurse. All parties involved settled. Her guardians obtained $32,500,000 on her behalf. That raises on important point. Often, victims that are critically injured need relatives or spouses to bring cases on their behalf. Obviously, they're too harmed to do it alone. Sometimes, these cases need some help. Also, it's worth mentioning that the fiancé was negligent too. He should have slowed down or otherwise averted the crash. Yet, the truck driver was overwhelming more responsible. That fact combined with the woman's grave harms suggests the high settlement amount. Plus, J.B. Hunt's presence in the suit as the contractor's principal afforded deep pockets for the plaintiffs to pursue compensation. The victim here was seriously injured after being hit by J.B. Hunt trucker. He was on the shoulder helping a friend when the independent contractor crashed into him. Then, the trucker fled the scene. Apparently, he was drunk at the time and feared punishment. That's exactly what he got when the state prosecuted him for a DUI. His blood alcohol level was over three times the legal limit. In fact, he had previous DUI's and crashes. He was fired in the past for poor driving. The plaintiff thought this was enough to go after J.B. Hunt. Under his theory, Hunt negligently screened and hired the driver. The jury agreed with that premise. Yet, it also apportioned the plaintiff with 40% of the fault. This brought his jury award down to around $15 million. This award might surprise you because the plaintiff was pretty careless herself. The incident occurred on an Illinois highway. She was near an exit when she smashed into some barrels. This sent her right into the path of a J.B. Hunt truck. The truck bumped her in the rear. That caused her car to go flailing around the road. Eventually, she passed away due to injuries from the event. After some time, members of the woman's estate brought a suit against the company. It alleged that Hunt's drivers were negligent and caused her death. The complaint stated the driver should have slowed down, been more alert, and otherwise avoided a crash. The defendant felt the plaintiff was at fault. They couldn't reach a compromise. After arguments and witnesses were heard, a jury found in favor of the woman's estate. They had to mete out negligence. It found that the woman was 40% liable for the crash. Thus, it found that the defendant was 60% liable for the crash. Under Illinois, that meant she could recover her damages minus the amount she contributed to it. If her part was more than 50%, she would have been barred from recovering. The jury awarded her $1,600,000. Here's what that amount was supposed to cover. Rosenfeld Injury Lawyers LLC specialize in 18-Wheeler accidents and help victims pursue adequate financial compensation for their losses. Our attorneys can file a claim for victims involved in a J.B. Hunt truck accident against all responsible parties. Those legally responsible often include the truck driver, trucking company, maintenance crews, mechanics, truck manufacturer and others. Contact the law firm at (888) 424-5757 to schedule a no obligation, free initial consultation to discuss all legal options in handling a large transport truck accident claim.